Clare Mulley is an award-winning biographer, and regular contributor to historical journals, TV and radio. 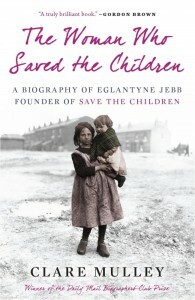 Clare’s first book, The Woman Who Saved the Children: A Biography of Eglantyne Jebb (2009) won the Daily Mail Biographers’ Club Prize and was praised by then PM Gordon Brown as ‘a truly brilliant book’. 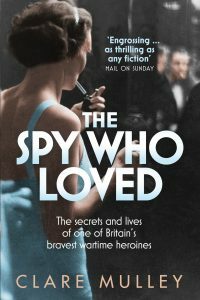 The Spy Who Loved: The Secrets and Lives of Christine Granville (2013) has been optioned by Universal Studios. 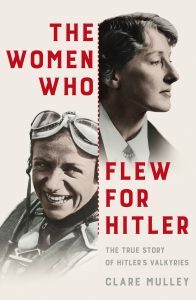 Clare’s third book, The Women Who Flew for Hitler, a joint biography of two extraordinary women at the heart of the Third Reich, was published in 2017. 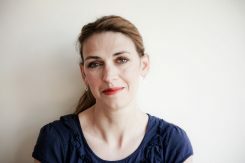 Clare contributes to TV for the BBC, ITV, Channel 5 and The History Channel. Radio includes the Today Programme, Women’s Hour, and Great Lives. She has spoken at most of the country’s major literary and history festivals, as well as the Imperial War Museum, National Army Museum, Special Forces Club and British Library. She also lectures in London, Paris and Valençay on the female special agents of the Second World War for Historical Trips. Clare contributes and reviews non-fiction for the Telegraph, Spectator and History Today. She is Chair of the Judges for the Historical Writers Association 2017 Non-Fiction Crown. Clare lives in Essex with her family and long-haired lurcher.